Room Details: Our one bedroom studio cabins are most comfortable and uniquely decorated. These units feature a fully equipped kitchen, spacious living area, couch, table, chairs, washer, dryer, electronic door locks, furnished linens, deck area, two-person whirlpool jacuzzi, queen size pull out sleeper, television with cable tv, DVD, and private bath. 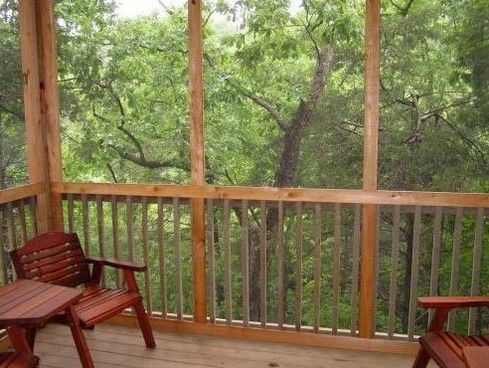 Room Details: Two private QQ bedrooms, two bathrooms, spacious living area w/fireplace, queen size sofa sleeper, cable TV w/DVD, free wireless internet, a fully-equipped kitchen, dining room and a screened porch offering tranquil views. Room Details: Our two bedroom cabins are most comfortable and uniquely decorated. 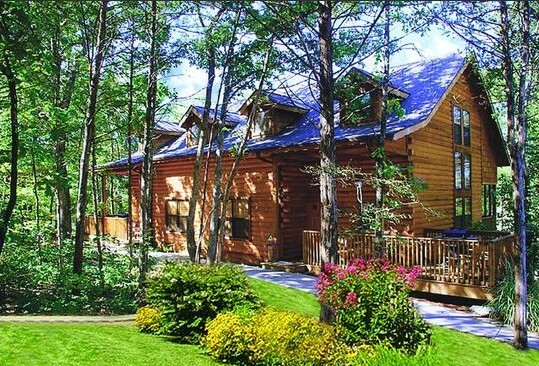 These units feature a king bed, a fully equipped kitchen, spacious living area, couch, table, chairs, washer, dryer, electronic door locks, furnished linens, deck area, one-person whirpool jacuzzi, queen size pull out sleeper, television with cable tv, VCR, and two full private baths and fireplace. Room Details: Our one bedroom studio cabins are most comfortable and uniquely decorated. 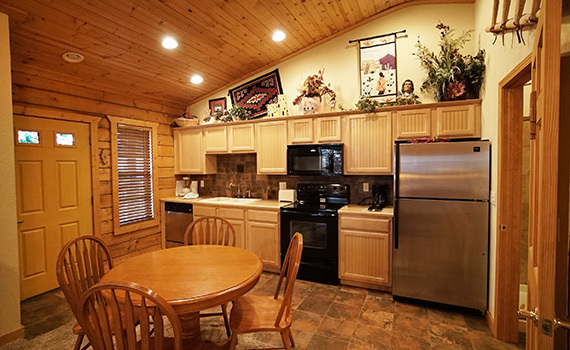 These units feature a fully equipped kitchen, spacious living area, couch, table, chairs, washer, dryer, electronic door locks, furnished linens, deck area, two-person whirpool jacuzzi, queen size pull out sleeper, television with cable tv, DVD, and private bath. Room Details: Our two bedroom cabins are most comfortable and uniquely decorated. These units feature a fireplace, king bed, a fully equipped kitchen, spacious living area, couch, table, chairs, washer, dryer, electronic door locks, furnished linens, deck area, one person whirpool jacuzzi, queen size pull out sleeper, television with cable tv, DVDVCR, and two full private baths with rain showers. Room Details: Our two bedroom cabins are most comfortable and uniquely decorated. 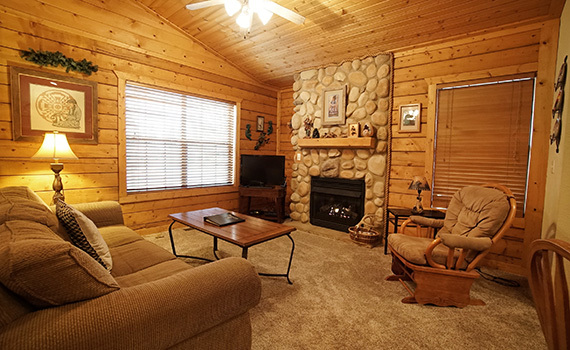 These units feature a fireplace, fully equipped kitchen, spacious living area, couch, table, chairs, washer, dryer, electronic door locks, furnished linens, deck area, one person whirlpool jacuzzi, queen size pull out sleeper, television with cable tv, DVD, and two full private baths with rain showers. Also includes loft area with king or queen bed. 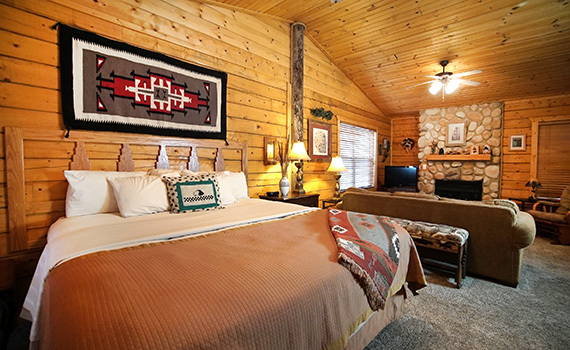 Room Details: Our four bedroom cabins are most comfortable and uniquely decorated. 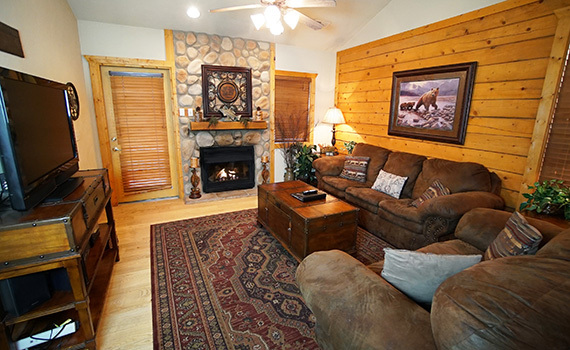 There are two bedroom cabin units side by side. These units feature a king bed, a fully equipped kitchen, spacious living area, couch, table, chairs, washer, dryer, electronic door locks, furnished linens, deck area, one person whirpool jacuzzi, queen size pull out sleeper, television with cable tv, DVD and two full private baths with rain showers. 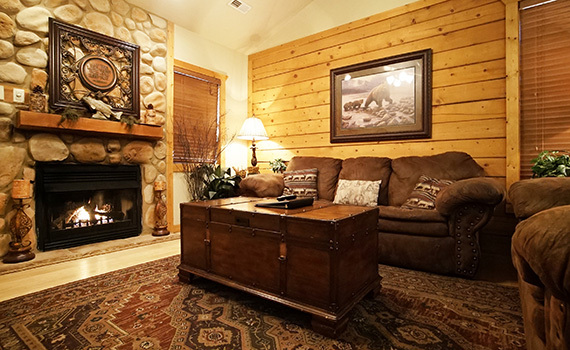 Room Details: Four bedroom cabins have four private bedrooms and a sofa sleeper, which gives guests sleeping space for up to 12 people, three or four bathrooms, a fully furnished living room with a large TV & DVD player, free high speed wireless internet, screened porches, kitchen and dining room space including - dishes, pots, pans, utensils, appliances, microwave, stove, oven, dishwasher, and refrigerator/freezer. A washer & dryer is also included. Room Details: Four bedroom cabins have four private bedrooms and two sofa sleepers, which gives guests sleeping space for up to 12 people, three or four bathrooms, a fully furnished living room with a large TV & DVD player, free high speed wireless internet, screened porches, kitchen and dining room space including - dishes, pots, pans, utensils, appliances, microwave, stove, oven, dishwasher, and refrigerator/freezer. A washer & dryer is also included.